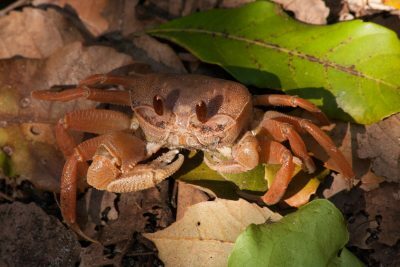 Our guest blogger today is Belinda Bertrand, who volunteered at Sainte Luce Reserve for two weeks in October 2016. 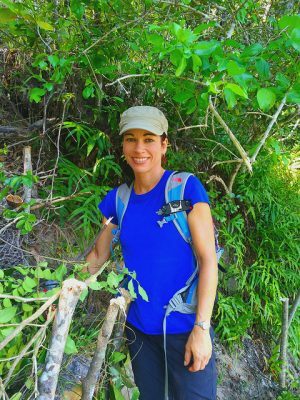 Belinda is a Tech Support Manager in Canada, volunteered at her local animal shelter for over five years, and to help sea turtles in Costa Rica in 2015. All photos in this post are credited to Belinda Bertrand. 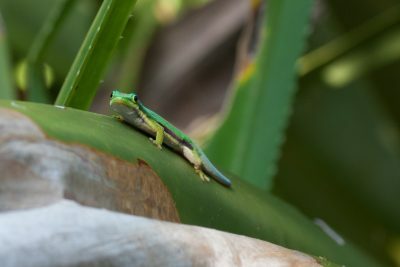 This past October I volunteered in forest conservation for two weeks at Sainte Luce Reserve in south east Madagascar. 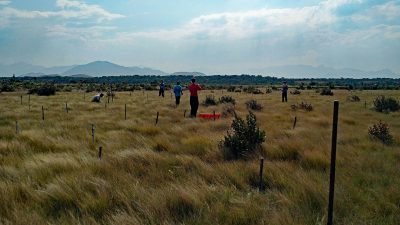 I found the reserve listed on an international volunteer website and liked the variety it offered. 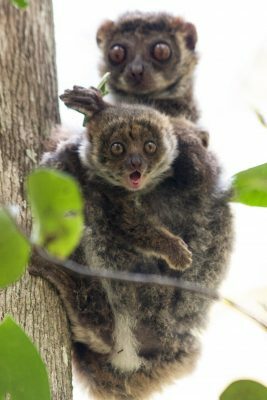 Plus, it was in Madagascar which was a place that I’ve always wanted to visit. 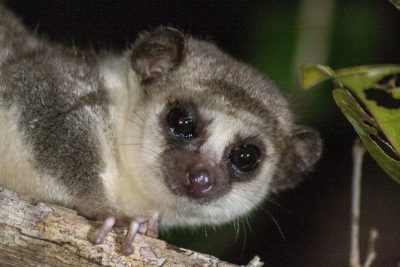 The volunteer listing mentioned lemur follows, tree planting, trail clearing, planting mangroves, sea turtle monitoring, and working in the tree nursery which all sounded perfect for me. I checked out their Facebook page and read several of the reviews and decided almost immediately that this was where I was going to spend my 2016 vacation. I signed up for the two week stay and booked directly with the reserve. I wanted to do three weeks but the flying portion from Canada was going to take me a total of six days. I opted to rent a bungalow for a minor fee instead of bringing my own tent as I knew my bag would be full. 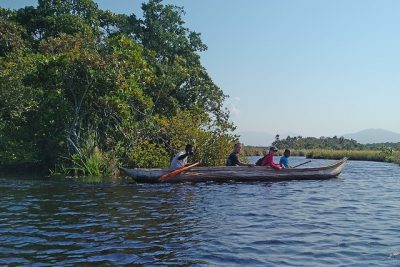 Sainte Luce is so remote you have to take a pirogue to get there! 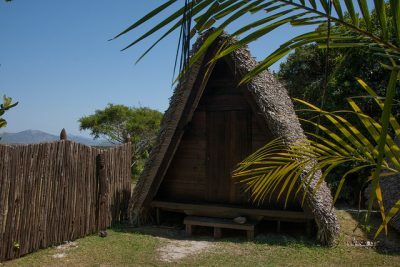 The reserve is very remote and is a 3 hr drive over very rough roads and then an hour pirogue (canoe) ride from Fort Dauphin. Once you’re there, you’re very isolated and in your own small paradise. One of the things I was worried about was being the only volunteer at the reserve so I was very excited to meet three other volunteers who would be there for the same two weeks that I was. We all got along great and after spending so much time together, have formed lifelong friendships even though we live in separate countries. 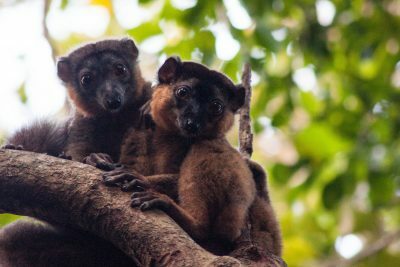 Collared brown lemurs at Sainte Luce Reserve. Everyone’s favourite part was the lemur walks. 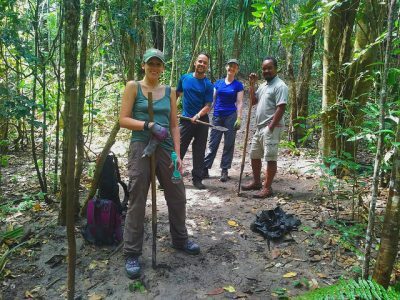 Our role was to walk the trails and search for lemurs to record their sightings and get them used to humans being around for future scientific studies. It often involved walking several kilometres per day, sometimes we walked 15+km! 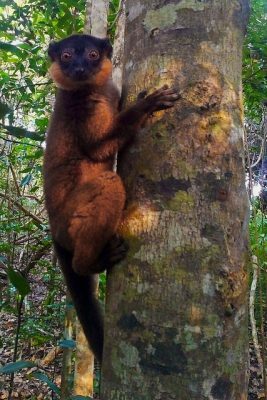 The owner of the reserve was also very interested in having us photograph lemurs and other rainforest species as much as possible for an eventual field guide. I love wildlife photography so he didn’t have to tell me twice to take photos; it’s one of my passions. Life at the camp was better than I expected. We had a flush toilet and running water thanks to the camp workers who manually pumped the water into a reservoir each day. The cook prepared amazing meals over a campfire, usually curried vegetables and rice with cucumber salad. Breakfast was camp bread, tea, bananas and usually melons. With all the work that we did I was glad that I brought some supplemental food from home including protein bars, granola bars, oatmeal, and peanut butter. The camp is solar powered and barely has a cellphone signal but it felt freeing to unplug from social media for a few weeks and immerse myself in my volunteering. 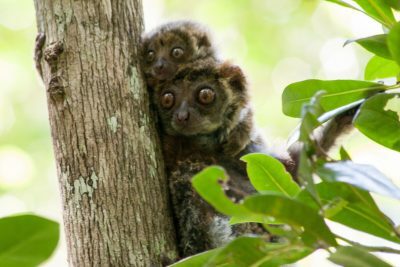 Some of my favourite memories include spending two days repairing a landslide area, planting over 200 ebony trees in the rainforest, relaxing at the beautiful unspoiled beach that meets the rainforest, being one of the first volunteers to photograph a woolly lemur and its baby during the day (they’re nocturnal), and having curious brown-collared lemurs come within a few feet of me. 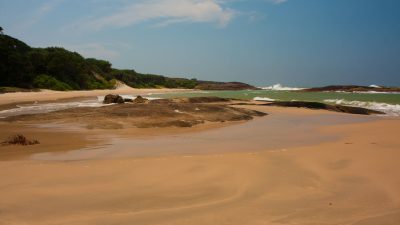 The beautiful beach at Sainte Luce Reserve in Madagascar. The reserve strongly believes in giving back to the local Malagasy community. They hire local guides and camp workers who are all proud to work there and want to help protect it. This is very important if the reserve is going to flourish. Volunteers also bring in local tourism dollars in addition to all the work they do at the reserve. Having people from other countries volunteer also makes the locals realize what a treasure they have. I enjoyed my time at the Reserve so much that I’m continuing to volunteer for them remotely as one of their Facebook admins. 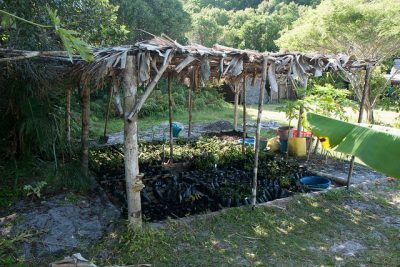 I would definitely recommend Sainte Luce Reserve as a place to volunteer and feel like you’re making a difference.